Who is a Premium AdSense Publisher? In any business institution or organization, people who bring in good value are usually rewarded. Like many online companies, Google relies upon ads for its business. The more ad-clicks you get on your website, the better it is for Google, because Google ultimately gets a portion of its AdWords share. 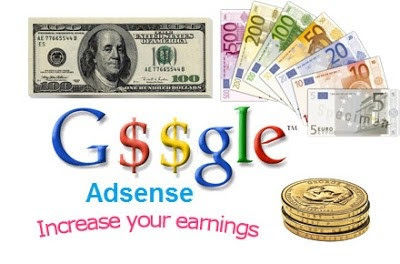 Just like most companies, Google has an incentive program with which it rewards AdSense publishers who bring in lots of click, and effectively help Google as well. This incentive program is dubbed "Google Premium AdSense Publishers". Many of our readers have had some confusion regarding Premium AdSense Publisher accounts. So that shall be our point of focus in this post today. A Premium AdSense Publisher (PAP) is a special publisher who gets premium services as mentioned above. PAPs have a huge traffic, and a high CTR, which is the reason why they stand out from normal publishers. A minimum of 1 Million pageviews per month - In other words you must have a daily traffic of at least 10-20 thousand pageviews. At least 100K-150K search queries per month - This approximates to around 5 thousand search queries per day. As you can see, both these figures are pretty high, which is why it is very difficult to become a PAP. PAPs have a high CTR - more than 100 clicks per day - which is why Google is interested in them. You can't apply to become a premium publisher. Google will induct you automatically if it believes you deserve it. 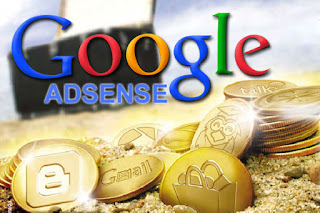 AdSense will monitor your traffic for a long time, so you have to be above the threshold consistently. It might take a long time, maybe years, to become a publisher. It took Mohammad 2 years to become a premium publisher. So even if you have met the threshold, you need to wait it out until AdSense finally decides to give you PAP privileges. The wait is long, yes. But the rewards are well worth the effort! Extra ad units - You can display more than three ad-units per page! Normal publishers can only add three content ads per page. But premium publishers can add more! These extra ad units have a special ID which differentiates them from normal ads. Check out the following post to learn about this. Third-party ad-serving - Premium publishers can serve third-party ads using their Doubleclick For Publishers account. Find out more about joining DFP for small businesses. Should you join DFP small businesses to display AdSense ads? Special monthly consultations - This is probably one of the most valuable perks PAPs get - they get all the support they need! A special consulting agent contacts PAPs, and sets up a meeting on Google Calendar. You can get the support you want. Mohammad just had his consultation for January, so it's not something Google only advertises. They do contact you personally if you're a PAP. These agents provide suggestions related to ad-placements, and tips on increasing revenue. PAPs also get invitations for AdSense seminars/webinars and workshops. Ad-customization - Normal publishers can't change AdSense ad codes to make them look different, because they run the risk of getting their accounts banned. But premium publishers have no such limitation. They can change size, format, text color, background color, theme, and a lot more! They can also remove the 'Ads by Google' label on ads to make them look more professional. Negotiable terms - Premium AdSense Publishers can also negotiate terms of their contract with AdSense. Normal publishers have to go with the fixed AdSense rates. But premium publishers can negotiate, and adjust their rates with AdSense, which is quite a huge benefit.